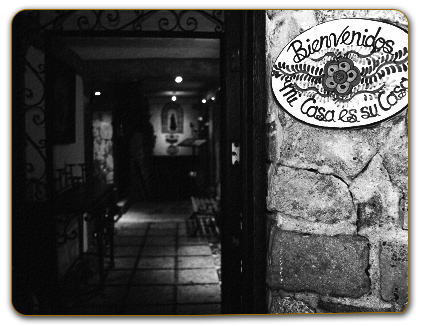 El Palomar de los Gonzalez is a traditional family owned and exclusive dinner restaurant located in the heart of the romantic area in Puerto Vallarta. Seven nights a week, El Palomar de los Gonzalez offers a mixture of International, Spanish and Mexican cuisine. The Gonzalez family comes originally from Spain and arrived in Puerto Vallarta in the 1960s, when they started to build their house in the hills of Puerto Vallarta village. First a room and then two, the kitchen and living area was the basic house they lived in for many years and before they extended the construction in order to expend the areas for the restaurant with the best views over the village and an exceptional ocean view, unforgettable sunsets. Until today, the Gonzalez family house includes the living area for the family and for loved Spanish grandma Mari Pepa and the restaurant area with its famous characteristics, fabulous views and an exceptional cuisine, a real - Mi Casa es su Casa!